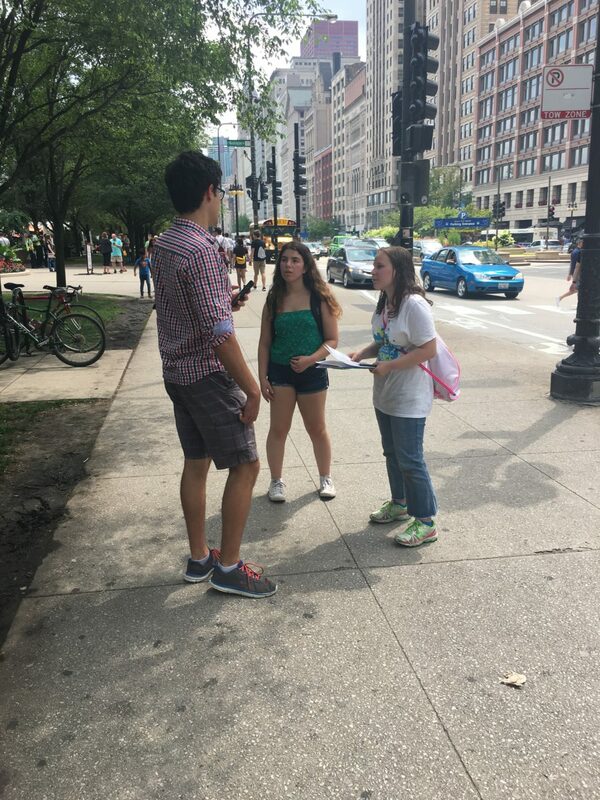 On August 2nd, Or Tzedek teens gathered in Millennium Park to register people to vote with folks from Chicago Votes and other youth from JUF Camp TOV. 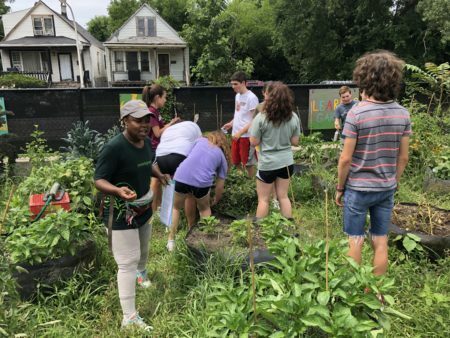 After a week of intensive learning on how to dismantle systems and tackle the root causes of injustice with community organizing, our teens were brimming with knowledge and energy for this project. 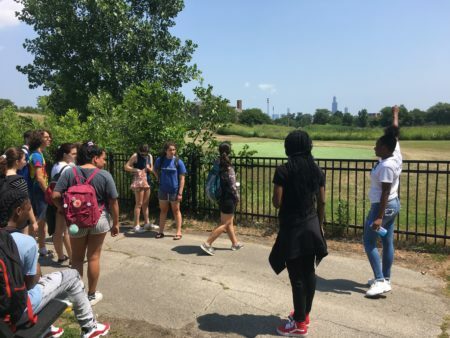 Having canvassed and talked to community members twice already, they were excited to tackle this new area of the city and show younger teens the tricks of the trade. Given the hectic nature of the park and the heat, it was likely our most challenging exercise yet. But despite how many times our teens were turned down or ignored, they kept pushing. They continued to pause people in their journeys and ask about their values, searching to make a connection. They kept up the excitement in their voices when they stressed how vital voting is to ensuring a democratic society. 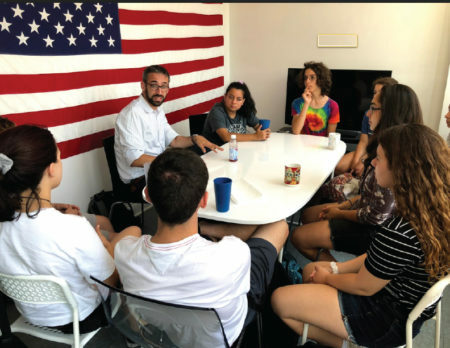 They maintained their energy and good attitude for the newer activists, calming their nerves and pushing them to keep at it until they got at least one person registered. 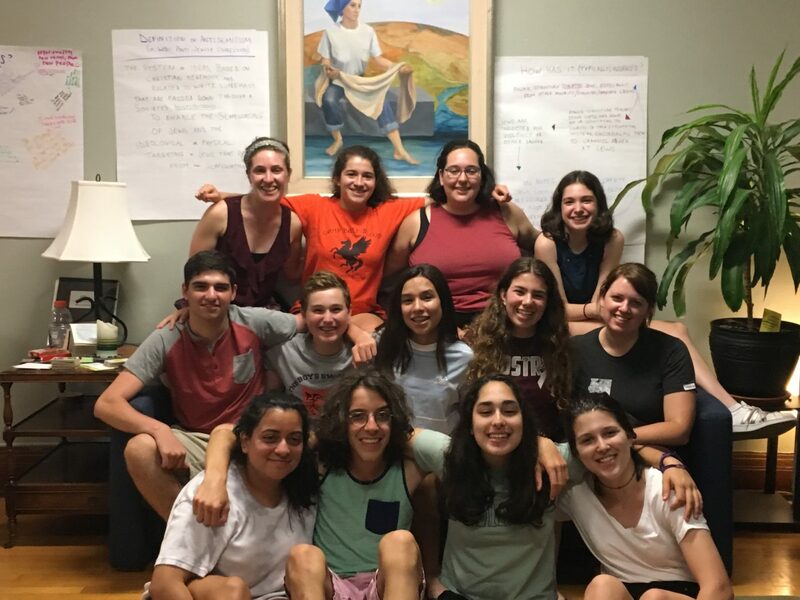 This dedication was the vibe of Or Tzedek 2018 through the entirety of the program. 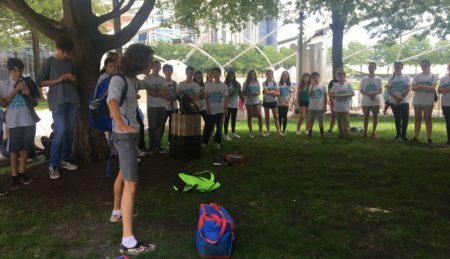 Our teens faced everything we did with open-mindedness and determination during the 12 days they spent together. 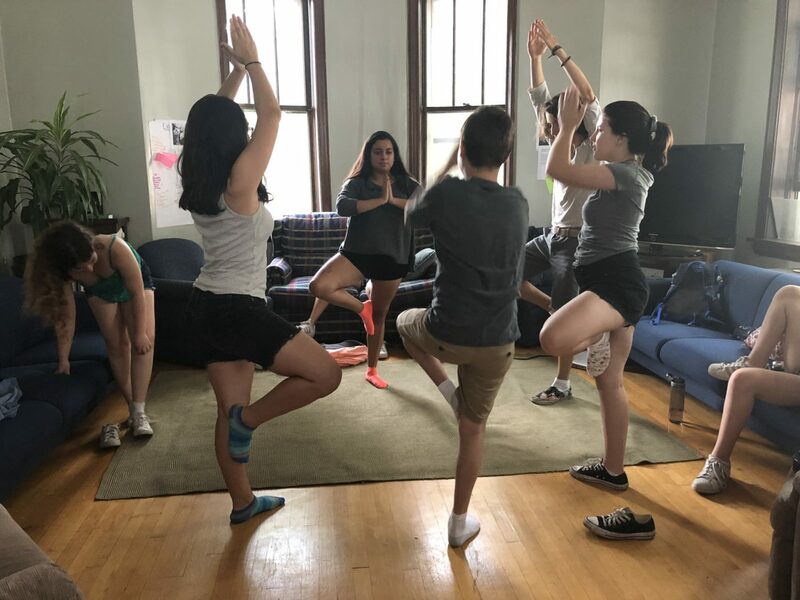 Their willingness to try new things is a reminder of the importance of looking at every issue with fresh eyes, and of the effectiveness of working in intentional community with others. 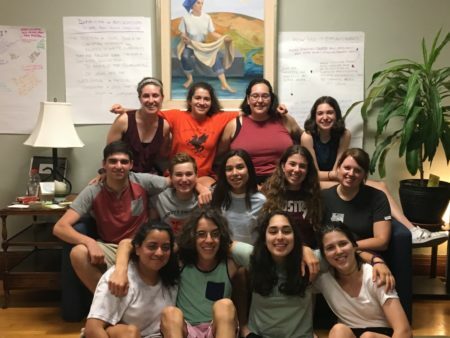 From canvassing for rent control and police accountability to supporting a local farm fighting food insecurity, to learning about how our own culture and history implores us to resist, the Or Tzedek teens entered into new situations with a curiosity that allowed them to entirely shift their perspective on what they thought they knew. 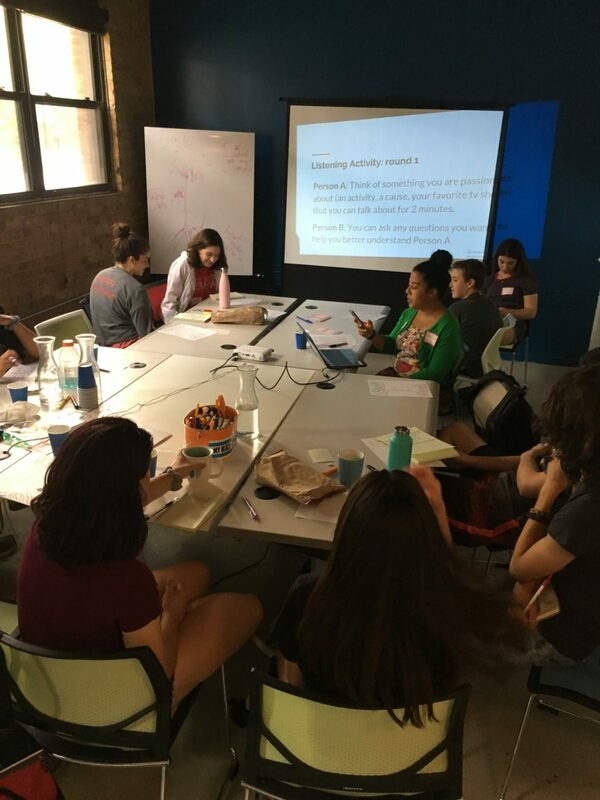 We explored all sides of Chicago in order to disrupt our own assumptions of people and places, and to build relationships for action. 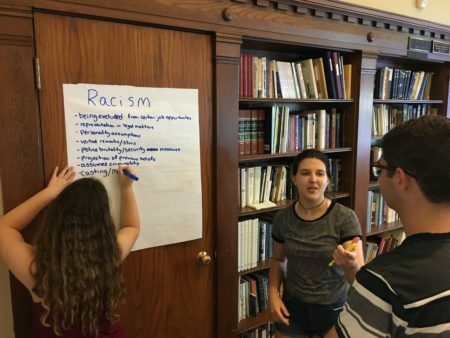 Teens spoke vulnerably about facing their own privileges and prejudices, questioned the institutions they are part of, and walked away fired up and already putting into practice the tools they had learned. 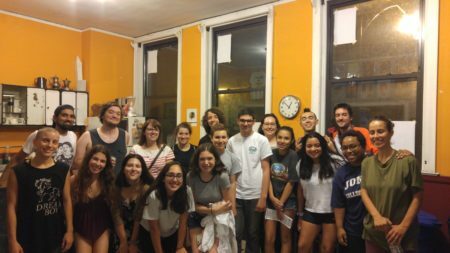 Watching their passion for social justice manifest itself into real-life movement – setting up their own organizing relationships, planning for future action – was rewarding for everyone. The teens were able to see their own power, and we as staff could see the strong future of social justice. Or Tzedek 2018 was all about digging deeper and honing our social justice skills, and pushing past fear and doubt about our ability to make change. We came in determined to better understand the world around us and we left ready to take on our roles in the movement for social change. Hearing about JCUA's campaign for police accountability from JCUA organizer Mara Wolkoff. Unpacking the ways that oppression works in our society. Registering Chicagoans to vote with Chicago Votes and Tikkun Olam Volunteer teens. Relaxing with some yoga after a long week of organizing work. 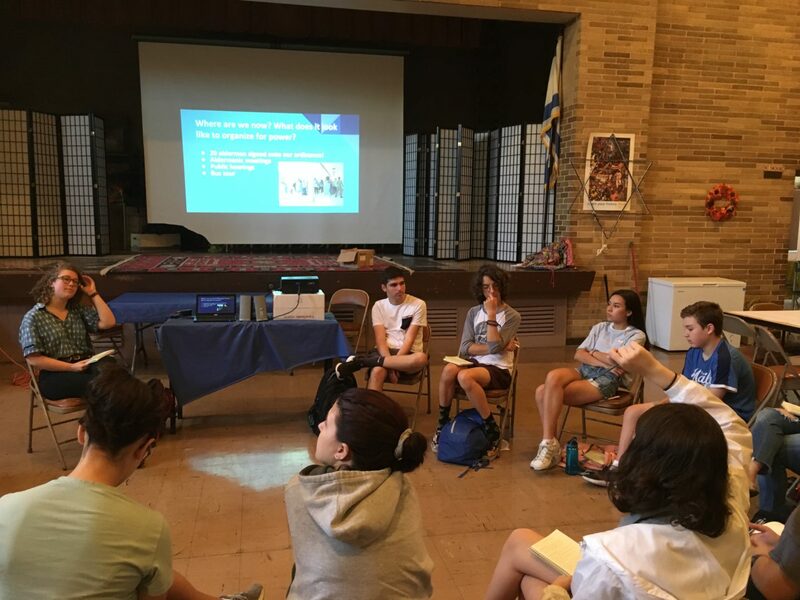 Learning the basics of community organizing from JCUA member Beckee Birger. This year's group of amazing teens! 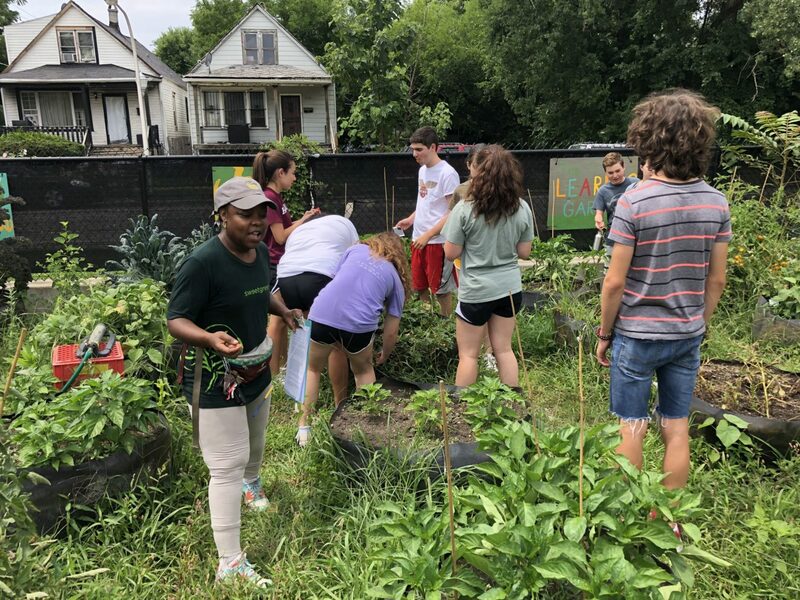 Getting our hands dirty volunteering at Growing Home. 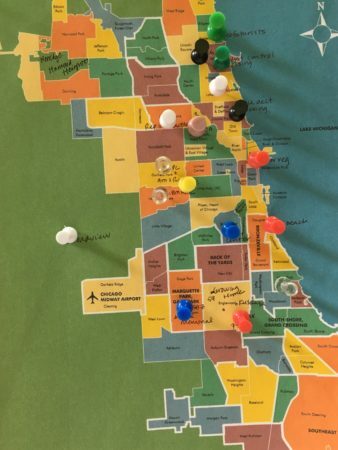 Learning about the neighborhood of North Lawndale from teens from My Block, My Hood, My City. 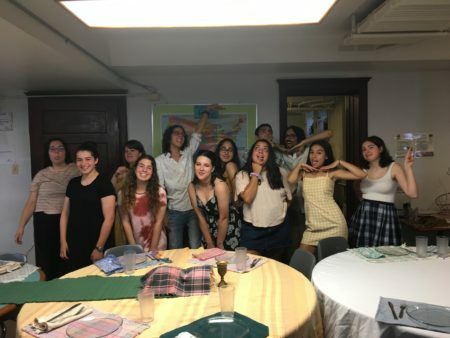 Having fun during Shabbat dinner! Meeting with State Rep. Will Guzzardi and learning about Illinois state politics. 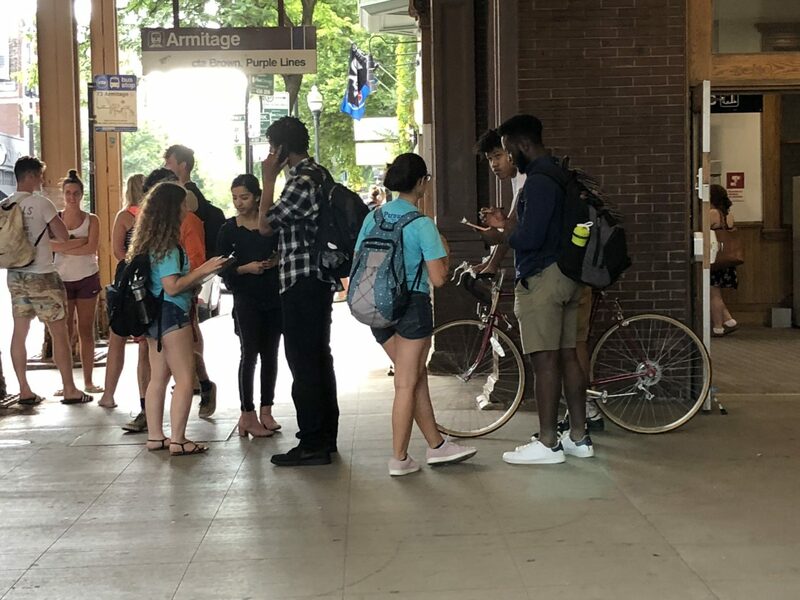 Canvassing for police accountability at the Brown Line. With the cast of the Neo-Futurists theatre group after an awesome show!